Both Leicester City goals made for uncomfortable viewing for anyone of a Clarets’ persuasion. But the manner of both strikes pointed to a deeper malaise which has cost Burnley throughout the campaign. To state the obvious, Sean Dyche’s side have conceded far too many goals – 59 in 31 games. Only Fulham, with 70, have conceded more. 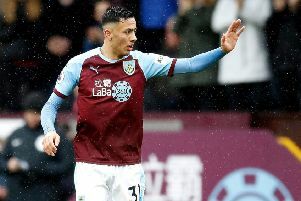 Last term, on the way to finishing seventh, a miserly Burnley shipped only 39 in 38 games, bettered only by the top five clubs, Manchester City, United, Spurs, Liverpool and Chelsea. 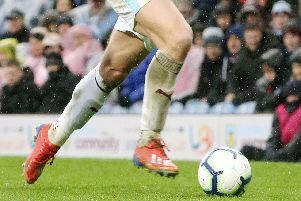 Looking at the goals conceded on Saturday, James Maddison’s free kick for the Foxes’ opener was the 14th goal scored against Burnley from outside the area – a divisional high. And Wes Morgan’s 90th-minute winner was the 10th goal the Clarets have shipped in the 90th-minute or later. Again, that is the worst record in the Premier League. Dyche’s former Millwall colleague Dion Dublin, speaking on Match of the Day on Saturday night, feels the second statistic is a matter of concentration, as the Clarets are renowned for their fitness levels, with fatigue not an issue. And Dyche said, as regards the issue of conceding late goals: “That’s sometimes the challenge of it. A lot haven’t been deciders. And on goals against in general, Dyche feels Burnley’s lack of cutting edge against Leicester in particular, was costly: “It’s not enjoyable, I think we didn’t have as big a threat going forward, and if you have that, often that secures the backline. “Attack is the best form of defence. “It’s the actual psychology of it – if you’re not finding the key moments in attack, sometimes you’re wondering as a defensive unit, are they going to find one? “They didn’t have many, so there is that edge that comes, a bit of nervousness in the stadium.